Part 1: Whiteboard as a Verb: Whether you are a modeler or not, the benefits of whiteboarding are multitudinous. 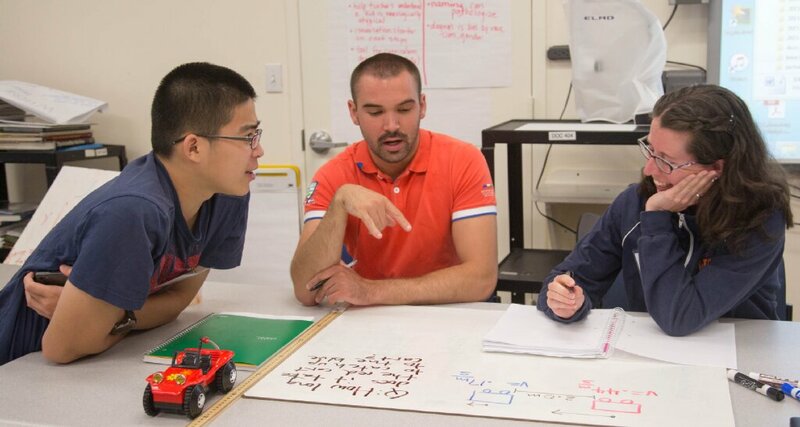 Whiteboarding stimulates collaborative interactions among small groups of students, allows students to develop skills in articulating both probing questions and clear, concise explanations, promotes critical thinking skills, creates room for demonstrating understanding using pictures rather than words. Teachers and students are able to assess student mastery of concepts, model development, operational definitions and problem-solving skills in a low stakes environment. Patricia Bauer will share some whiteboarding strategies she has found useful and she will encourage participants to share their own strategies and to work together to discover innovative uses of whiteboards in any classroom. Part 2: Expanding Your Resource Bank: Have you ever googled a term or looked for a “better way” to do a lab or explain a concept, particularly for students who are struggling in your class and needs an alternative approach/explanation? Or maybe you have a student who has been absent and is trying to catch up? Or maybe you want to encourage a student to “take it to the next level”. You could spend hours vetting sites. During the second part of this workshop, teachers are encouraged to be prepared to share some of the resources they have discovered and have found useful (including any accompanying worksheets for a particular movie/animation/lab). Through the workshop, you will learn strategies to make your students active participants in the learning process and gain a list of resources vetted by your colleagues.